Step 5. Wait – IMPORTANT! As with any task on Office 365 you can try out your new forwarding address straight away but it may not work immediately. Sometimes Office 365 can take some time (an hour or two) to recognise changes in the system for some tasks. Although the process of forwarding an internal Office 365 address to an external email address without a mailbox is simple enough to complete when you know how to, finding the correct section in the ECP can be misleading as there isn’t a simple “Forwarding” section. This is the solution to a simple redirect. It works perfectly. However I would like to make it more difficult. I would like to redirect two email addresses to the SAME external address. There is a problem with the second address since the system detects that address and can´t redirect it properly. 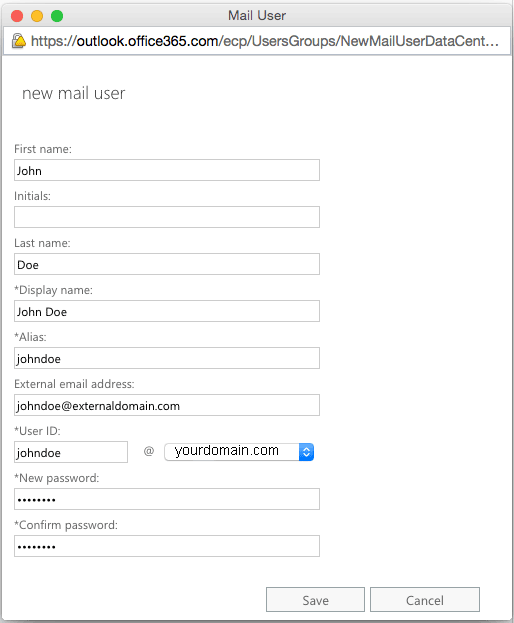 You can instead create a shared mail box (which does not use a license), and you can also create as many aliases for it as you wish. Then forward that mailbox to an external address and turn off ‘keep a copy’, giving you the result you’re after. Thank you! Exactly what I needed to know. Most helpful indeed!